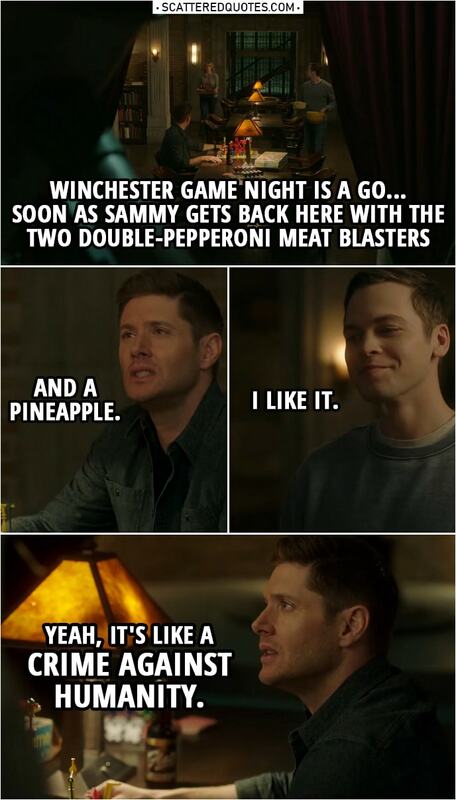 Dean Winchester: Winchester game night is a go… Soon as Sammy gets back here with the two double-pepperoni meat blasters and a pineapple. Jack Kline: I like it. Dean Winchester: Yeah, it’s like a crime against humanity. 6.4.2019 Pineapple. It’s like a crime against humanity.